Boston Balloon Factory creates beautiful extra large 3-foot balloons to give your party an extra WOW factor. These large party balloons are a great addition to a balloon bouquet or balloon centerpiece. Same Day Delivery Available! Call us today. At Boston Balloon Factory, we know that extra large balloons mean extra large fun! Our 3-foot balloons add a wow factor to any event. Call us today at (781) 956-9836 to start planning your design. 3 Foot Confetti Filled Balloon! 3 Foot LED Lighted Balloons! For a really big WOW factor use a Three ft. Balloon on its own or add it to a bouquet. These balloons make really great centerpieces or stand alone gifts for any occasion. They can be themed or embellished with ribbons, tassels, confetti, and more! These balloons come in plain colors, fun prints, or filled with confetti! Our 3-foot balloons add a touch of drama on their own, or as part of a balloon bouquet or centerpiece. They come in a dazzling array of fun colors and prints, and they can be filled with confetti or embellished with tassels and ribbons. 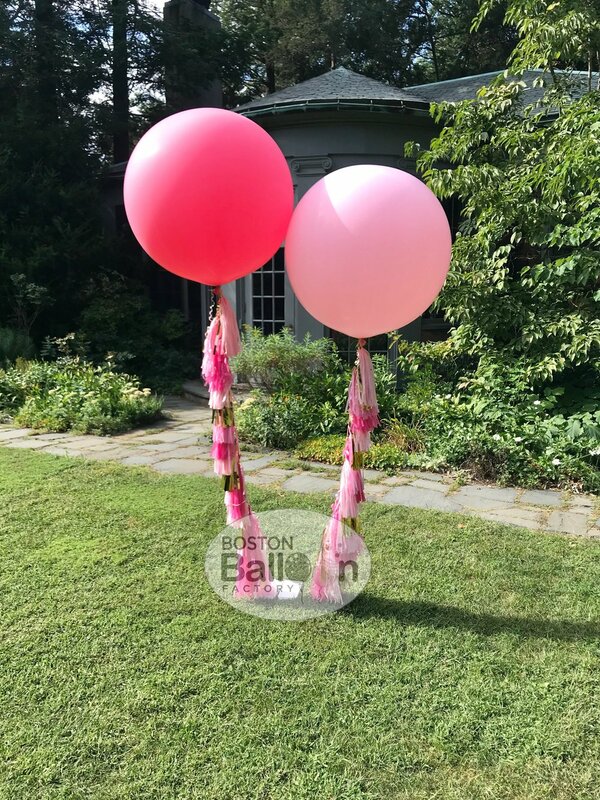 Call Boston Balloon Factory today at (781) 956-9836 for more information.